SkelPack Welding Services uses Skeleton Technologies' market-leading SkelCap industrial ultracapacitors, which can be welded into almost any shape or size. 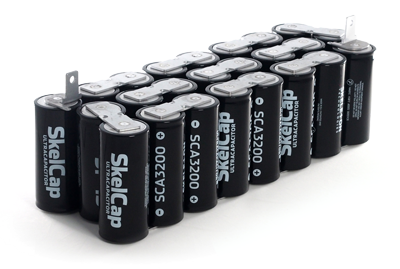 SkelPack ultracapacitor packs can be shaped to fit small spaces and, despite their small footprint, can still provide high power for various applications in passenger cars. Ultracapacitors can be key in electrifying intra-city buses, where reliability, fast charging, and long lifetime provide quick return on investment. 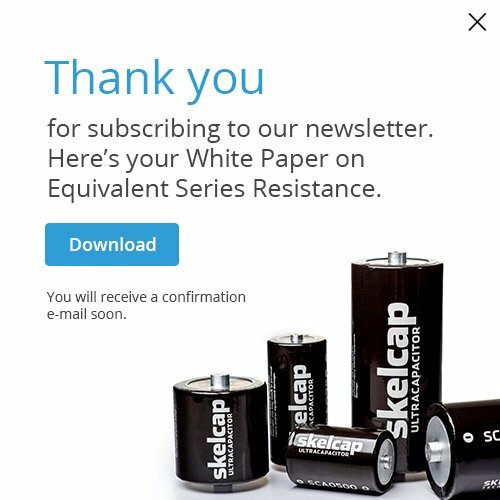 The high reliability of laser-welded ultracapacitor packs combined with the long lifetime of SkelCap cells provides a winning combination for energy storage in wind turbines. In high-end application industries such as aerospace and motorsports, low volume and weight are paramount. SkelPack laser-welded packs can be customized to fit practically any shape and power requirements. Ultracapacitor-powered shuttles and AGVs can operate continuously by using opportunity charging in predetermined spots along their routes. Fast charging and reliable operation for 10+ years.